Bega Street in Wolumla is now open. 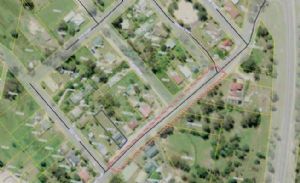 Bega Street, Wolumla is closed between Cochrane Road and Bridge Street due to a house fire. Police and Fire units are in attendance and the street will be closed until further notice. Council and the Police apologise for any inconvenience this may cause. Please see the attached map for further details or call Council on 6499 2222.